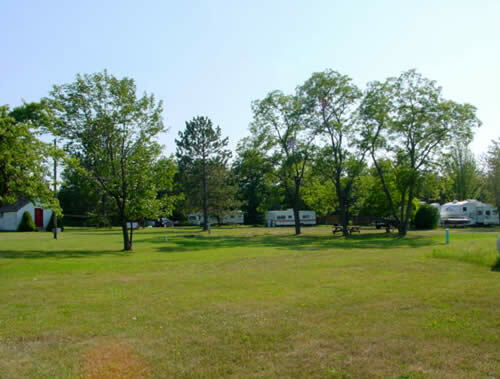 Anchor Inn Campground is conveniently located next to Johnson's Store, Port Wing's Town Park and Hoth-Lee Art Gallery. 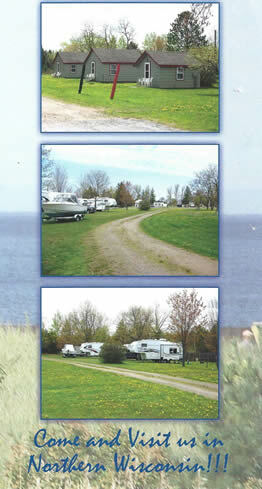 Anchor Inn Campground is situated a mile away from Lake Superior in beautiful Northern Wisconsin. The north woods beauty will captivate you, while the wonders of Lake Superior will leave you breathless. Port Wing has many opportunities awaiting you and many great experiences to share with you. Our little town offers a bank, post office, school, church, galleries & shops, restaurants, bars, marina, grocery store, and a gas station. offers picturesque sailing, wind surfing, kayaking, fishing, and boating. Whether you're an active bird watcher or sports enthusiast, you can have it all while you stay at Anchor Inn Campground! Our town also heritage to share with you; from commercial fishing to a replica of the first school bus in the state of Wisconsin. The bus is located at the Port Wing Town Park, which is located just across the street from Anchor Inn. The historical society has also recently added a heritage hall for your enjoyment. Port Wing's beaches are also a site to see, with sand and quarry-stone shores glistening for miles.